You want financial tasks that need to be done routinely, such as Last Mile of Finance (LMOF) and financial close management (FCM), to be just that – routine. How can you make those end-of-calendar processes as painless as possible? 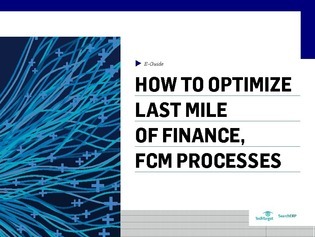 In this expert e-guide, compare vendors such as Trintech and Blackline that other companies use for FCM.